Gambling laws vary widely from state to state. Virginia’s gambling laws are strict, and very little gambling is permitted in any form. The exceptions include horse racing in licensed arenas and off-track licensed venues, as well as gambling set up by nonprofit organizations, such as raffles or bingo. Playing the lottery, of course, is legal. Dog racing, casinos, and other typical forms of gambling are all prohibited. 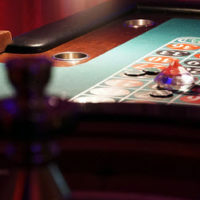 Depending on the type of illegal gambling that a person is caught up in, they may face anywhere from a Class 3 misdemeanor all the way up to a felony charge, as well as serious fines. Illegal gambling and interstate gambling are both Class 3 misdemeanors in Virginia, and are punishable by a fine of up to $500, according to Virginia statute 18.2-326. This law applies to any person who is part of a gambling pool; each person within that pool or association will face a misdemeanor charge. Illegal gambling is defined as placing or making a bet within Virginia that is made with money or an item of value in exchange for a chance to win another item of value, money, or prize; for it to be considered gambling, winning is left to chance. Illegal interstate gambling is the unlawful purchase or sale of out-of-state lottery tickets by a for-profit enterprise. If it is discovered that a person wins a legal gamble by means of fraud, they will be fined at least five times their winnings, and up to 10 times their winnings, as per Virginia statute 18.2-327. According to Virginia statute 18.2-328, owning or operating an illegal gambling operation is a Class 6 felony, punishable by one to five years in prison and a fine of up to $2,500. More stringent penalties apply if the gambling operation has remained in “substantially continuous operation” for over 30 days or if the gross revenue of any single day was $2,000 or more. If either of those two criteria is met, the incarceration term shall be one year minimum, and up to 10 years maximum, with a fine of up to $20,000. Virginia statute 18.2-329 explains that an owner of the premises on which illegal gambling occurs, and knowing of and permitting the illegal gambling, is a Class 1 misdemeanor, punishable by up to one year in jail and a fine of $2,500. This law applies to all owners, lessees, tenant, or other person who is in control of the premises. To be charged with this crime, the person must know of, or should have known of, the gambling and failed to inform law-enforcement. The Leesburg gambling criminal defense attorneys of Simms Showers, LLP are here to answer any questions you have and provide legal assistance to those who have been charged with gambling violations.